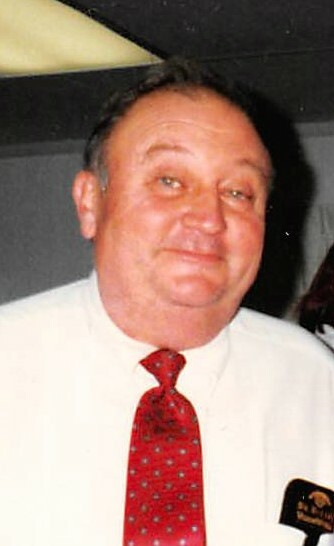 Steven Lewis Haley, 76, of Otisco, Indiana, passed away on September 4, 2018 at his home. He was born February 27, 1942 to Howard Lewman and Mamie Rebecca (Martin) Haley in Scott County, Indiana. He was a mechanic and owner of Haley’s Auto in Clarksville, IN. He was a member of Bethel Christian Church in New Washington, IN and was preceded in death by his parents. Survivors include his wife of 57 years, June (Huff) Haley; sons, Steven L. Haley (Brenda Wilder) of Otisco, Ronald L. Haley (Glenna) of New Washington, David I. Haley (Betsy) of Yeehaw Junction, Florida; sister, Linda Casey of Sellersburg, IN; grandchildren, Steven A. Haley (Kathryn) of Georgia, Gloria Haley (Zach Green) of Sellersburg, Zachary Haley of Louisville, KY and Samantha Haley of New Washington; great grandchildren, Decland Haley, Shadelyn Wilder, and Killi Wilder. Funeral services will be held on Saturday, September 8, at 11:00 am at Grayson Funeral Home in New Washington, with burial in the Crown Hill Cemetery. Visitation will be held on Friday from 4:00 pm to 8:00 pm, and after 9:00 am on Saturday.